Everyday life takes a toll on your smile and sometimes, routine preventive care just isn’t enough to maintain your oral health. At Texas Dental, we offer a variety of dental restorations to get your smile back on track and improve its functionality. Whether you need a simple filling or you’re exploring your tooth replacement options, we’ve got you covered. Call to schedule your consultation with our restorative dentist in San Antonio today! Dental crowns are customized tooth-shape caps. This dental restoration may be used to support a tooth’s structure, improve its appearance, or replace a missing tooth with the help of a dental implant. Your crown will be composed of metal, porcelain, ceramic, or a combination of these materials, depending on your smile needs and budget. If your smile has gaps left behind by missing teeth, dental bridges may be the solution for you. A bridge is composed of two or more dental crowns with natural-looking false teeth in between them. Your crowns will be permanently attached to the teeth or dental implants surrounding the gap and the false teeth will fill in the empty space. Though it is often viewed as a complicated procedure, root canal therapy is relatively simple and many patients see success from their treatment. First, we will remove the infected pulp of your tooth. We will then clean out the canal and permanently seal it to prevent future infection. If necessary, a dental crown may be placed to ensure your tooth’s functionality. While many people think of dentures as an outdated method of tooth replacement, improved technology has made dentures more comfortable and effective than ever before. Partial dentures are used when there are still a few natural teeth remaining in your gum line, while full dentures are used to replace an entire upper or lower arch. Dental implants are small, screw-like posts that are surgically placed into your jawbone. They serve as replacement tooth roots and the foundation for your preferred dental restoration. Implants can be paired with dental crowns or bridges, and they can even secure an entire arch of dentures. While we hope to keep your natural teeth in place whenever we can, there are some instances where removing the tooth is best for your oral health. 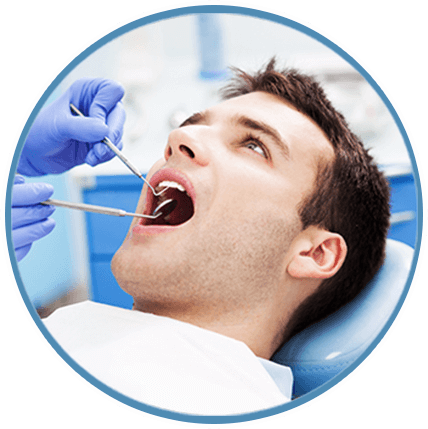 We perform a variety of oral surgery, including extractions, in house so we don’t have to refer you out to another practice or specialist. We work diligently to keep you as comfortable as possible throughout your procedure.